Moving quickly to thwart the president's $1.4 billion deal to save Chinese telecom manufacturer ZTE, lawmakers attached a new provision Monday to a must-pass defense authorization bill. What they're saying: President Trump's deal is not just a national security problem, said Sen. Chris Van Hollen, who introduced the amendment along with Sen. Tom Cotton (R-Ark.) and a bipartisan posse of cosponsors — it's also bad dealmaking. "He got rolled," Van Hollen told Axios. 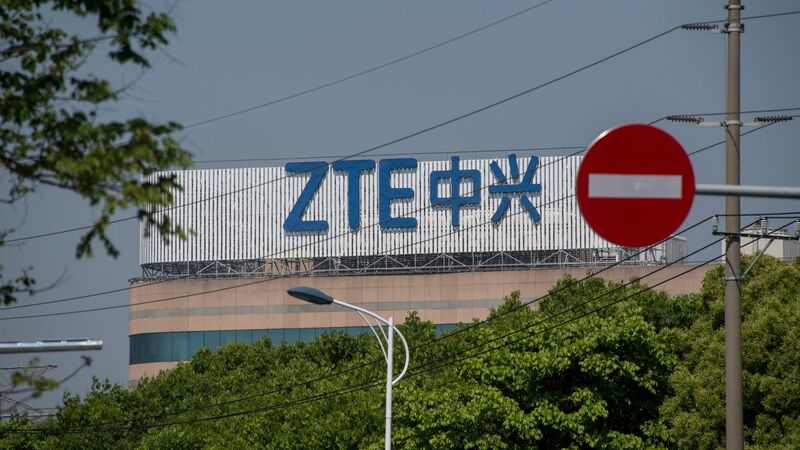 Why it matters: The new amendment, first announced last Thursday, will undo any deal for Commerce to reduce its original punishment against ZTE — a ban on U.S. technology that would effectively force one of China's largest firms to shut down. Van Hollen originally had an amendment in the defense authorization that would prevent any new deals with China lessening penalties against a company that had been recently punished. But, as Van Hollen describes it, "the administration wanted to flout Congress’s intent and decided to put its foot down on the accelerator" to finish the deal before the defense authorization could pass. The administration had been gung-ho about reaching a deal, treating it as a chip in broader trade negotiations. "Too many jobs in China lost," tweeted the president. Problems in the deal: On Sunday, White House trade advisor Peter Navarro told Fox, "It’s going to be three strikes you’re out on ZTE. If they do one more additional thing, they will be shut down." "They've had their strikes. They already struck out," said Van Hollen. This is the second time in a year ZTE was caught selling to North Korea and Iran, notes Van Hollen, despite agreeing that a second infraction would be met with an effective death penalty — a ban from using US technology, including microprocessors that are critical in the manufacturer's products. ZTE has been accused of sabotaging its products to aid Chinese spies tapping into U.S. communications networks. "This undermines the credibility of sanctions. It shows that if you get caught and get caught again, you only get a slap on the wrist, "said Van Hollen. Where it stands: The provision will have to survive a full Senate vote on the whole authorization bill and then needs both House approval and the president's signature to become law.